Are you being bombarded with credit card low interest advertisements? Most people will get an email or a regular piece of mail advertising the low interest credit card easily once a week or in some cases more often. The question is should you take advantage of these low interest credit card offers? In general consumer should avoid credit cards. If you need to have a credit card to cover purchases that you already have the cash for that’s fine. 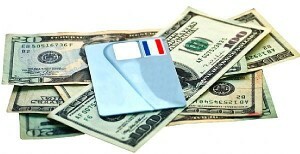 Carrying a credit card is much easier than carrying large amounts of cash to pay for things. As a financial adviser, we suggest that you carry two credit cards at all times. The first one should be used on a regular basis for all of your purchases. You can use it to collect points, or other kinds of discounts including credit for rental cars, hotels and airfare. The second card should only be used as a backup. This would be in situations where The bank network fails, which actually happened to The writer, or if you need to make a large purchase and your main credit card cannot handle the size of the purchase. Regardless of whether you carry one or two credit cards, always pay the total balance on the due date. This will ensure that you avoid paying extra charges. Interest accrues on balances that are carried forward past the due date. Interest rates on credit cards may start as low as one or 2%. However after an initial period, sometimes as long as six months that rate will increase to 19% for Bank credit cards and 29% for store based credit cards. Always refrain from applying to a lot of credit cards with low interest rates. You may save some money initially. The interest you pay on any overdue balance or the impact that will have on your credit card rating and your overall credit rating will be more than offset by the additional interest you pay. If you already happen to have a number of credit cards and do not use them, you may want to take the unusual step of closing these accounts to improve your overall credit rating. It could take as long as a year or even more for your credit rating to reflect that these accounts are now closed but at least you made a step in the right direction.